Looking for the required tools to completely disassemble or repair your Samsung Galaxy S4 Mini? Rounded offers you the complete toolbox for safely disassembling or repairing your S4 Mini. Repairing your own device never been easier with the special Rounded toolbox for the S4 Mini. These tools are tested and compatible with the S4 Mini. 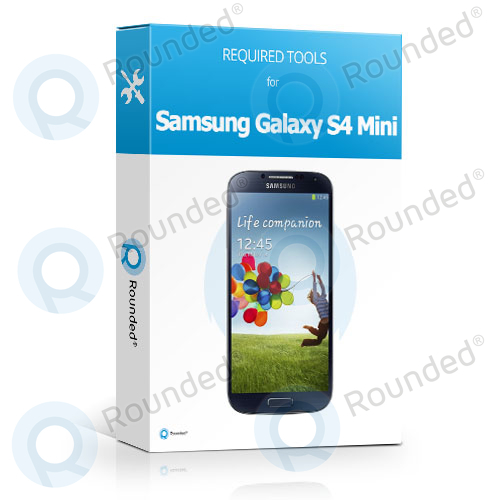 The Samsung Galaxy S4 Mini toolbox is send under protected conditions by Rounded.com. Question or inquiry for Samsung Galaxy S4 Mini complete toolbox?